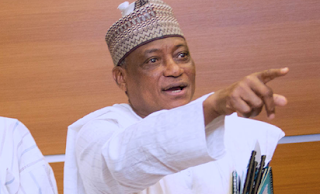 The outburst of the Defence Minister, Mansur Dan-Ali, that President Muhammadu Buhari asked states implementing the anti-open grazing law to stop forthwith, drew anger from Benue, Ekiti and Taraba states, the three states currently enforcing the law, which three vowed not to repeal the law. It also elicited strong reactions from both arms of the National Assembly, the Senate and House of Representatives, which asked the Defence Minister to withdraw the statement. Benue State Commissioner for Information and Orientation, Mr. Lawrence Onoja, told newsmen in Makurdi that there was no going back in implementation of the law. Onoja said: “This is the second time the Minister would abdicate the responsibilities of his office as defender of Nigeria’s territorial integrity and descend so low to become champion of herdsmen’s interest. “He has justified the incessant herdsmen unprovoked attacks on the so-called blockade of cattle roots and grazing reserves. He spoke as if this is a justifiable reason for militia taking the law into their hands. “By his call, Dan-Ali has restated his partisanship and support for occupation of the Benue Valley and other fertile lands in the country by marauding herdsmen. “We want Nigerians and the international community to compel the Minister to quickly prove to Benue people that he has no personal scores to settle in this crisis or is playing the script of some unknown people. We would like him to respond to the following questions in the interest of fairness, justice and equity. “Is the State House of Assembly of a state in Nigeria constitutionally empowered to make laws for the promotion of peace, development and welfare of the people in the State? How come Mansur Dan-Ali is calling for the negotiation of safe cattle routes for the herders without a single mention of farmers who have been violently dislodged from their homes and farms? Who would take the responsibility of taking care of the needs of these farmers who have lost their means of livelihood with their farms and crops destroyed by herdsmen militia armed with dangerous weapons? “Who would avert the looming famine in Benue State on account of this mindless destruction of lives and farming communities? Why has the Minister of Defence not made a single reference to the plight of the 180,000 Benue indigenes taking refuge in eight IDPs camps in Benue? These people are also Nigerians who deserve to have a sense of belonging in Nigeria. “Most of these people are farmers who could not go back to their farms for fear of being attacked by herdsmen who are still carrying out sporadic attacks on Benue communities as we speak. “We ask, is the Minister of Defence speaking for himself or on behalf of the Federal Government because his latest outburst is completely at variance with the position taken by the National Economic Council, NEC, on ranching, headed by Prof. Yemi Osinbajo, the Vice President. “The NEC at its recent meeting, endorsed the practice of ranching in states experiencing clashes between farmers and herders. In the same vein, the Northern Governors’ Forum also issued a statement recently supporting the ranching of livestock as the best form of animal husbandry that guarantees increased productivity of dairy products. “The Ministry of Agriculture was also part of the National Economic Council that came out publicly to support ranching. Based on this available facts, the Minister of Defence, occupying such a sensitive office should please clarify on whose side he is in these herdsmen crisis in Benue and other states. “We call on Mansur Dan-Ali to as a matter of urgency withdraw this highly offensive statement against Benue State and the victims of herdsmen killings in the state. Over 500 Benue indigenes have so far lost their lives to herdsmen invasion since the beginning of this year. “We view this latest statement as only serving to embolden these herdsmen militia to unleash more attacks on Benue as the various Miyetti Allah groups have used the anti-open grazing law to invade Benue and lay false claim on the ancestral land of the Benue people. “The Defence Minister is yet to publicly call for the arrest and prosecution of the Miyetti Allah leaders who have openly threaten more bloodshed in Benue on account of the anti-open grazing law. “Benue State government headed by Governor Samuel Ortom would not relent on working within peaceful means in line with the rule of law to restore peace. We call on the Benue people to remain calm and continue to report suspicious movements to the security agencies and remain vigilant. “We wish to reiterate that Nigeria’s Constitution empowers states to make laws for good governance and the Open Grazing Prohibition and Ranches Establishment Law 2017 was made in this regard. “The Ranching Law is a creation of the people of Benue State who enacted it to provide a permanent solution to the herders and farmers constant clashes. “There is no going back on the implementation of the law as prosecution of offenders is going on smoothly. We have no apologies to the Minister of Defence or anyone,” Onoja said. Benue State House of Assembly also unanimously declared, yesterday, that neither President Muhammadu Buhari nor the Minister of Defence, Mansur Dan-Ali, had the powers to compel a repeal of the Benue State grazing law. The lawmakers also passed a vote of no confidence on the Minister and urged him to resign from his position for incompetence and ineptitude. Raising a motion of urgent importance on the floor of the Assembly, the Majority Leader, Mr. Benjamin Adanyi, drew the attention of members to publication in several newspapers where the Minister was quoted as calling for the repeal of the ranching law in Benue and other states. He said: “We are worried that this comment is coming from a person whose duty it is to protect and safeguard the lives and property of the people. “Our grazing law was a piece of legislation that was validly put together after due consultation and inputs from all segments of our society, including herdsmen, and it did not contravene any provisions of our constitution. Ruling, the Speaker of the House, Terkimbi Ikyange, upheld the position of members and advised the Defense Minister to immediately resign.